We see here that the Tauntauns have been attacked by something, but we don't know what it is quite yet. This is not long after Luke has been attacked in the wasteland by something unknown as well. 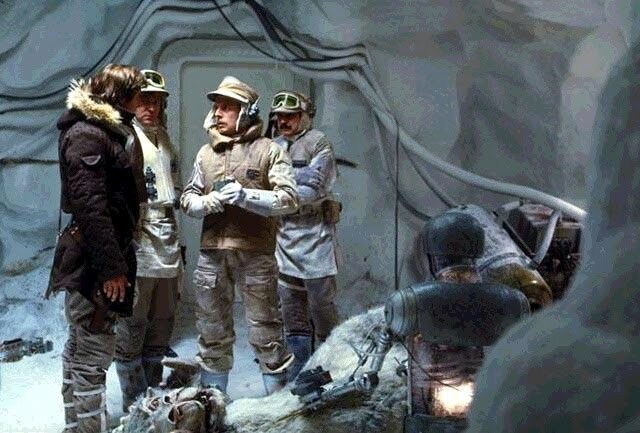 Han takes little note of what has happened here as he is too busy worrying about Luke. Luke has just been rescued and brought back to the medical center by Han Solo. He's been attacked by a Wampa ice creature, and his face was slashed by the creature's claws. He barely escaped with his life, and would have frozen to death had Han not appeared. 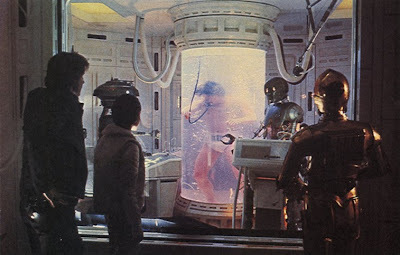 The medical droid 2-1B has placed Luke in a tank of healing Bacta fluid to help him recover. 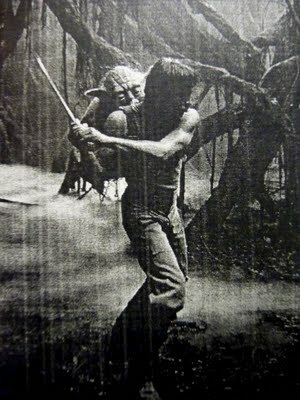 Most of this scene remains in the film, but the dialogue that happens while Luke is in the Bacta tank has been cut out. The scene remains in the comic book adaptation of the film, and the novel. 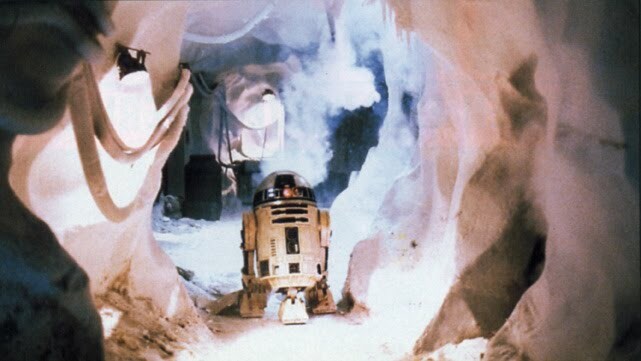 Perhaps the most famous cut scene from Empire, Artoo-Detoo narrowly escapes as a Wampa Ice Monster crashes into the base, enraged by his electronic whistling. A group of Rebel soldiers only manage to stop the creature with a blast from a large bazooka weapon. Right after this, sensors pick up a new intruder (which happens to be an Imperial Probe Droid). This is part of the Wampa sub-plot that was deleted from the film. 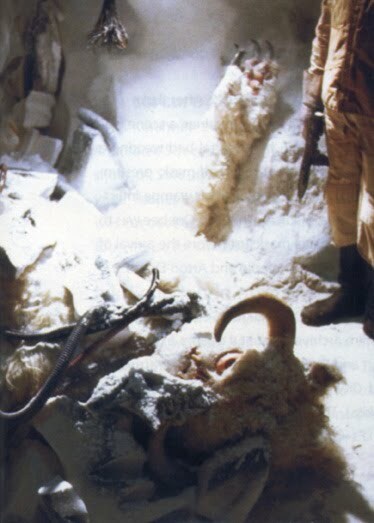 Some of the Wampa footage was filmed, but most of it was scrapped due to problems with getting the Wampa to look right. 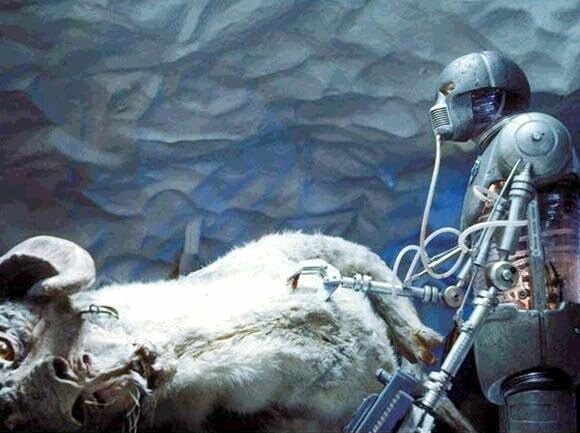 A number of Wampas have now been captured and are now being kept in a confined area. Threepio and Artoo-Detoo are discussing how the creatures were captured by using electronic whistles like Artoo's. This leads into another deleted scene, which comes later. Again, this is part of the Wampa storyline that was deleted. Luke has now emerged from the Bacta tank, and is beginning recovery. First, a protective healing mask is removed from his face by 2-1B, and then he is able to converse with his friends. This leads to a rather awkward scene between himself and Leia. 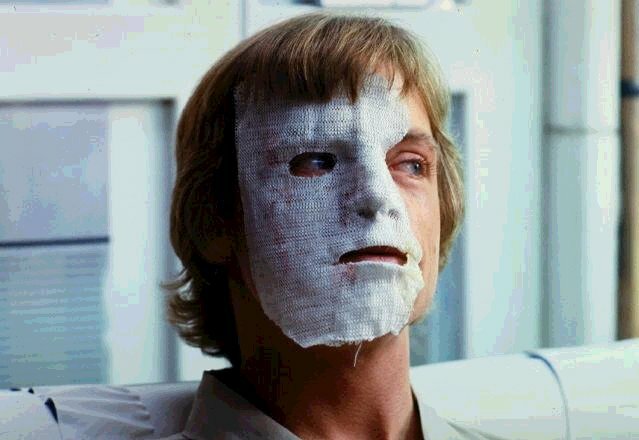 Part of this scene was left intact at the point where Han enters the room, but the rest of this scene involving the mask removal and Luke's conversation with Leia ended up being removed. It remains in the novel and the comic book adaptation. 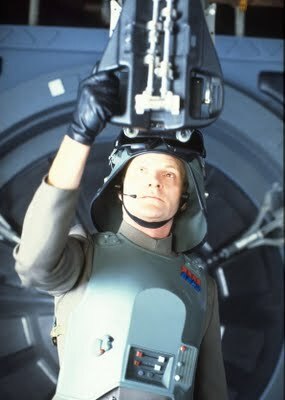 During the Battle of Hoth, General Veers is just about to target the rebel power generators when he is suddenly faced with a kamikaze pilot (Hobbie, Rogue Four) crashing through the front window of the cockpit. 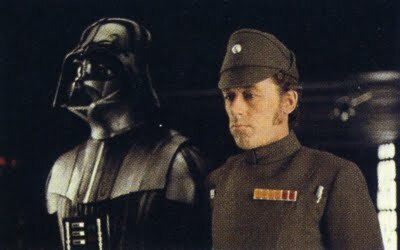 Veers is presumably killed in this scene. Everything up to the snowspeeder crash is still in the film, leaving the question of whether Veers is meant to be alive or dead still a mystery. At least one early version of a Return Of The Jedi script has Veers appearing again, but this was later left out. Also interesting to note is that a very similar scene did end up happening later in Return Of The Jedi, when a damaged rebel craft flies through the front viewscreen of the Super Star Destroyer's bridge after the shields are disabled, causing the entire massive bulk of the ship to plunge into the Death Star's surface. 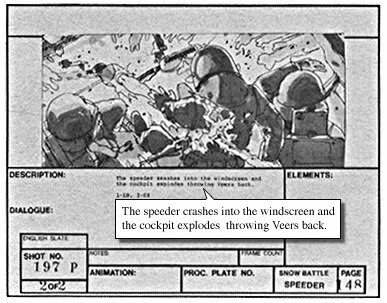 The only known evidence left of Veers' death scene are the storyboards and descriptions in earlier versions of the script. Imperial troops have now entered the base, and our heroes are in retreat. 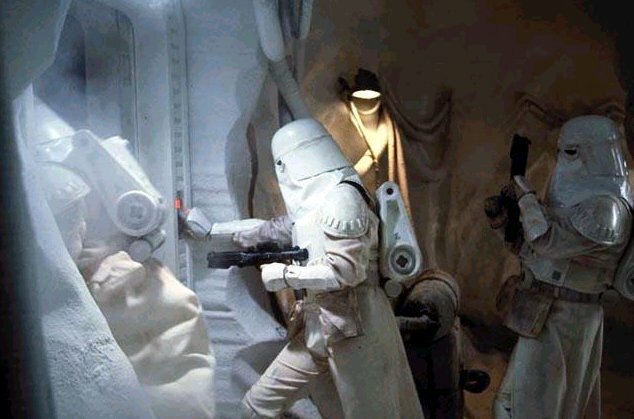 But Threepio makes a quick decision to help throw off the pursuers: he tears the warning sign off the Wampa trap! The unsuspecting troops then enter the unmarked room, unaware of the fate that awaits them there. 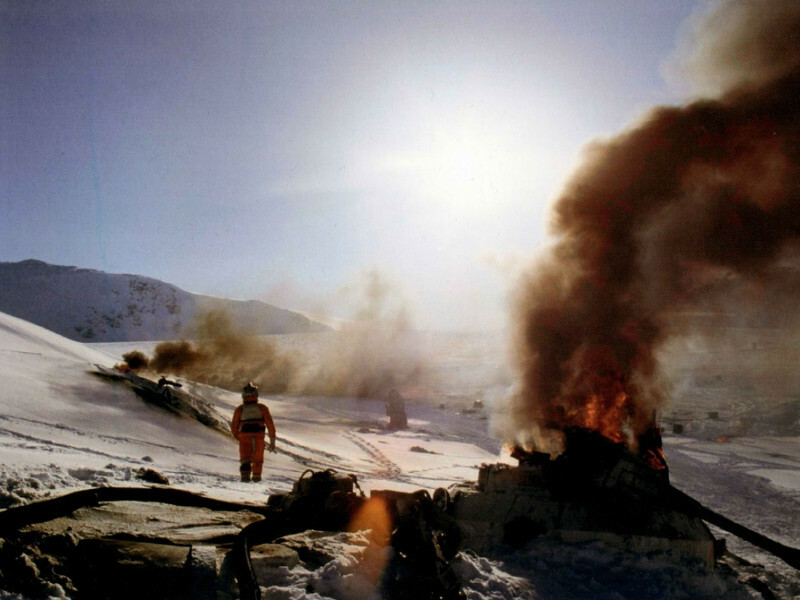 Afterwards Darth Vader enters to find only the remains of his troops. This was cut since it was part of the Wampa storyline that ended up being dropped from the film. 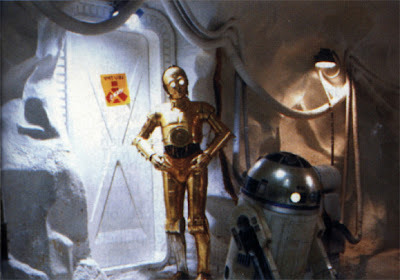 Originally it gave Threepio the chance for a clever but deadly joke at the Empire's expense. It also explains why he was so far behind the others when they ran into the hangar to board the Milennium Falcon. One of the trailers for The Empire Strikes Back actually contains a few seconds of this scene. 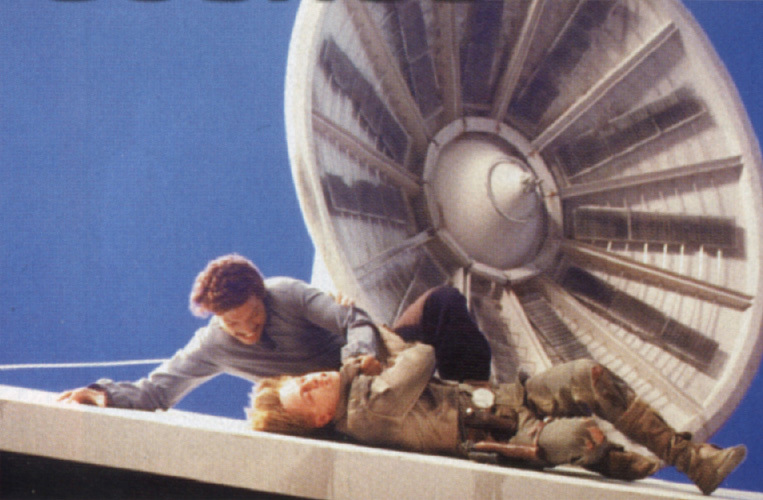 After losing his duel with Darth Vader as well as his hand, Luke has plunged to his apparent death from a Cloud City gantry platform. However, he has been sucked into an exhaust chute and now hangs precariously below the city. He calls out to Leia, who hears him and heads the Milennium Falcon back to rescue him. 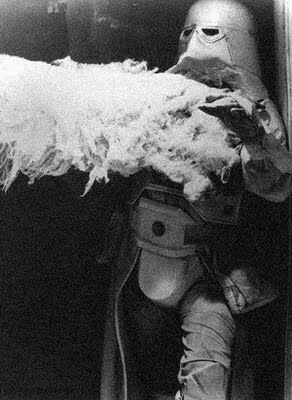 Most of this scene still remains in the film, but there was some additional footage detailing Lando's rescue of Luke after he climbs out of the Falcon's hatch and onto the top of the ship, as well as some description of the scene in an earlier version of the script. 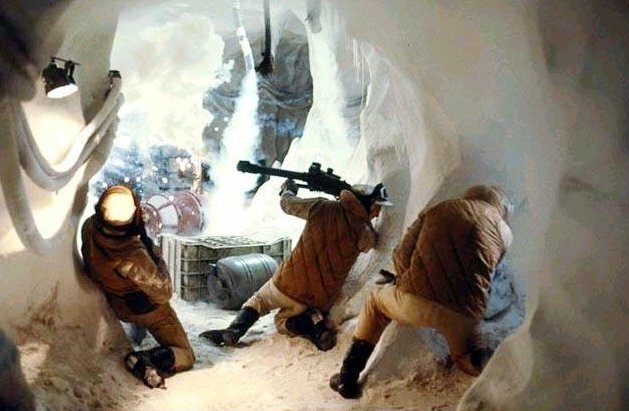 One of the trailers for The Empire Strikes Back actually contains just a few frames more of Lando exiting the hatch. 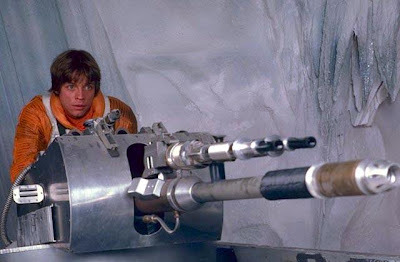 Here are a several additional photos of deleted scenes including Luke manning a heavy artillery gun and him returning to Echo base after the battle, along with more found on the new Star Wars Blu-Ray's!